Spain will play friendly games against Portugal and Russia in the next international break. Spain will play friendly games against Portugal and Russia in the next international break as they start their preparations for the 2018 World Cup in Russia. Sports paper Diario AS confirmed on Wednesday that the Spanish will take on Portugal in Atletico Madrid’s recently opened Wanda Metropolitan Stadium on November 10, with a following trip to take on Russia in Saint Petersburg, reports Xinhua news agency. The game against Portugal will see the two footballing neighbours go head-to-head and give fans a chance to see Cristiano Ronaldo play against a Spain side containing Real Madrid teammates such as Marco Asensio, Isco, Nacho Fernandez and Sergio Ramos. Meanwhile, the trip to Russia will be the first time Spain have played away to that nation in their current form, with the last time the Spanish faced the Russians away, being in 1971 when it formed part of the USSR. 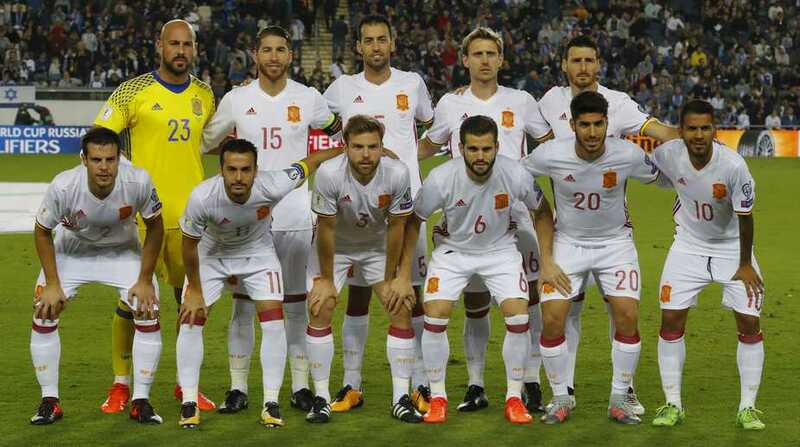 The Spanish team confirmed their qualification for the 2018 World Cup on October 6 with a 3-0 win over Albania and ended their campaign with a 1-0 win in Israel on Monday night topping the Group G with nine wins and a draw from 10 matches.